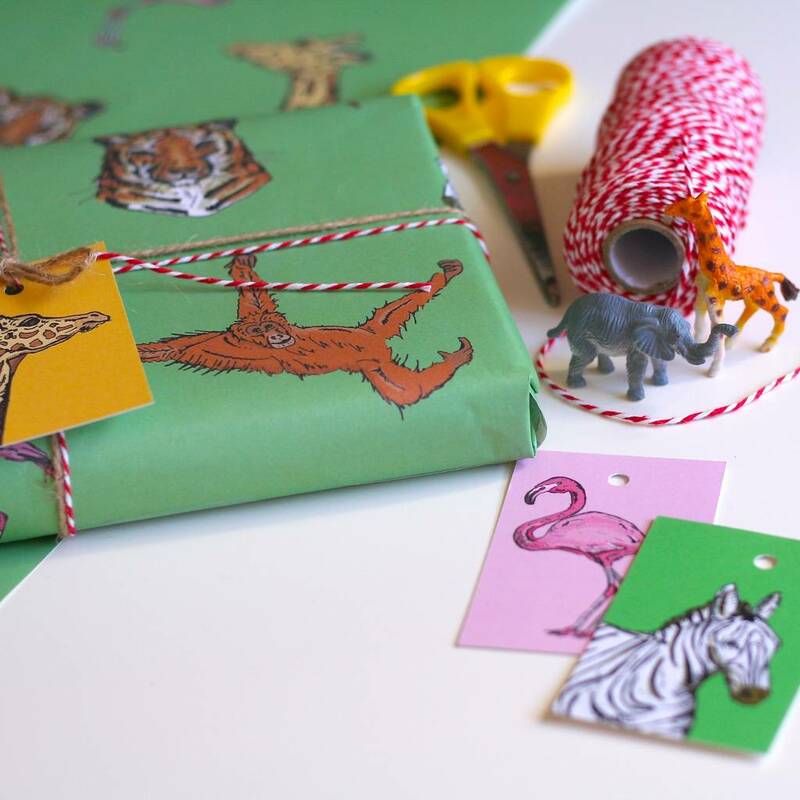 Wrap your presents with jungle flair! 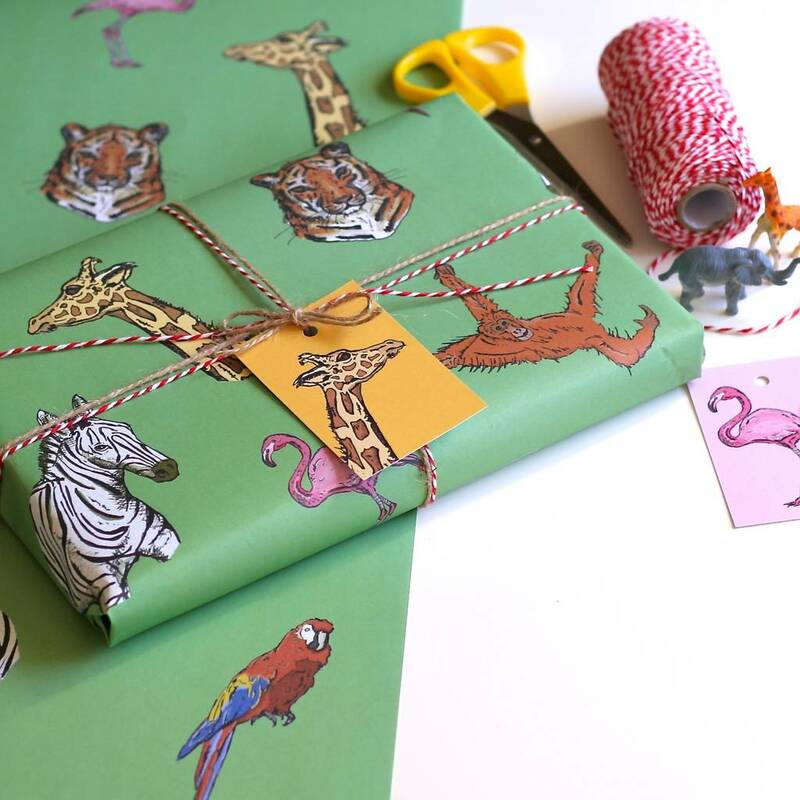 This colourful wrapping paper is covered in beautiful illustrations of a whole host of safari animals and birds! 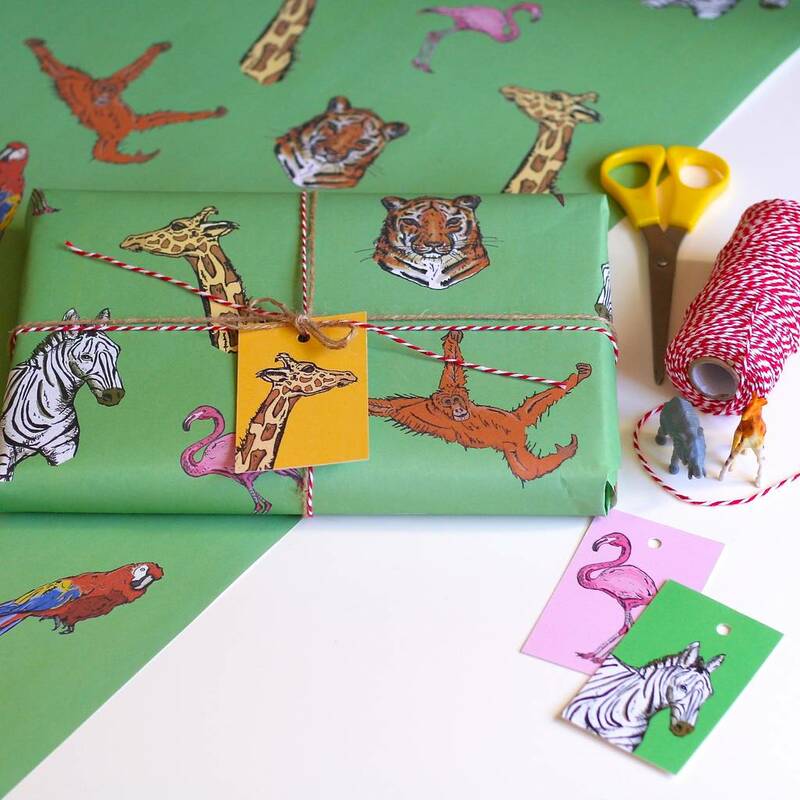 The gift wrap features my original black ink illustrations of Tigers, Giraffes, Zebras, Flamingos, Orangutans, and Parrots against a green background. Perfect for those that love trekking through the jungle and going on safari, this paper will appeal to any animal lover! 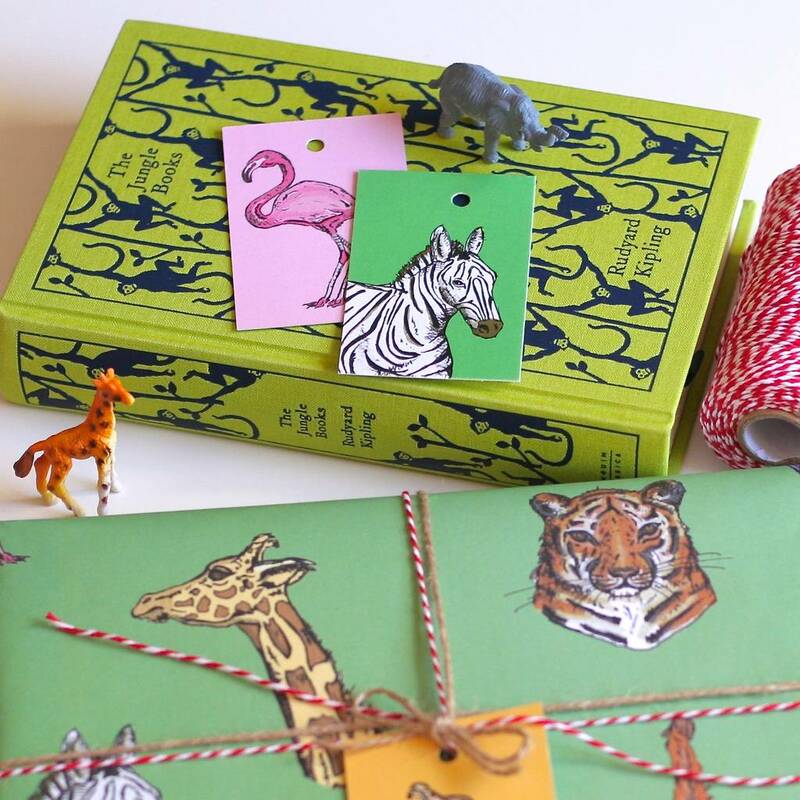 Add a finishing touch with brown jute or red and white bakers twine, and matching gift tags; Zebra, Giraffe and Flamingo. This is an A2 sheet of gift wrap measuring approx 59cm x 42cm. Each gift tag measures approximately 5.7 cm by 9cm.